It’s that time of year again: stores are filling their shelves with unbelievable loads of candy in preparation for Halloween. And here at our Charlotte dentist office, we are getting ready to take it off your hands for some Cash or a sweet prize! 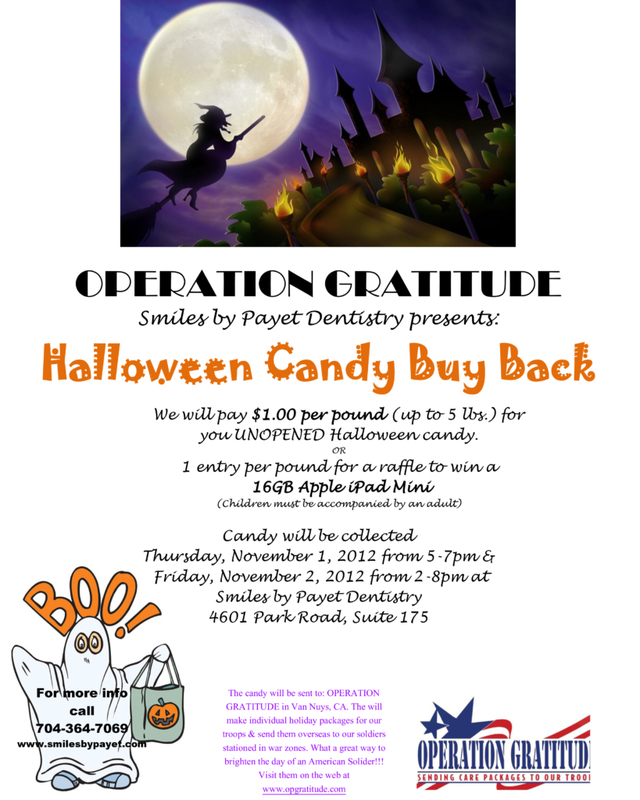 Together with Operation Gratitude, we will be accepting candy donations on November 1st and 2nd at our convenient South Charlotte dental office. In exchange, we’ll be paying $1 for every pound of UNopened candy, OR you can be entered into a raffle for a super-cool 16GB Apple iPad Mini. Call our office for more details, or just come on by after Halloween!